WASHINGTON — Volunteers were serving up a little Christmas spirit along with meals for the homeless on Christmas morning in Northwest, D.C.
“The rain had stopped and Miriam’s was open and I came here … Christmas is turning out pretty good so far,” says Elizabeth Telson. But there are no presents under the tree for Telson. She’s homeless and sleeps on the city streets. And on this Christmas Telson’s grateful for Miriam’s Kitchen, which provides a bit of calm in the storm of life on the streets. 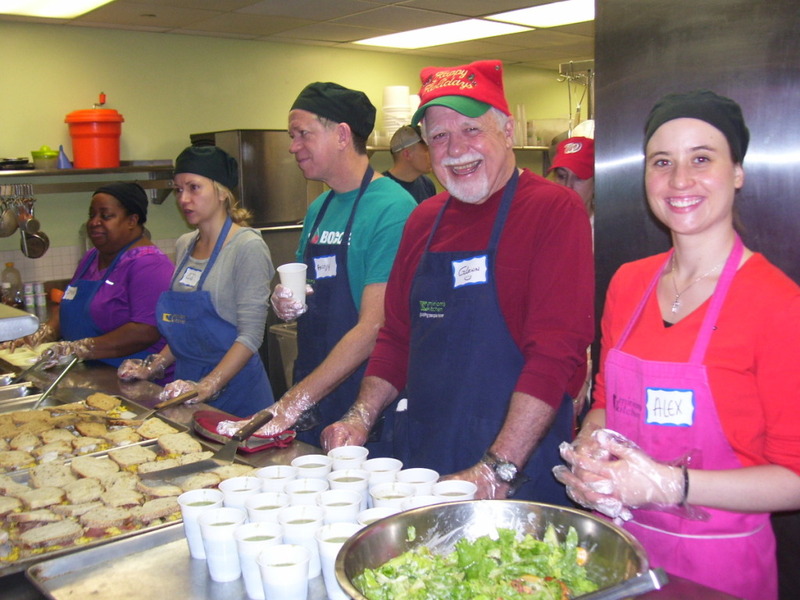 Miriam’s Kitchen is a homeless services provider in D.C. Also Telson is grateful for the volunteers who are serving up Christmas breakfast. The breakfast menu reads like it’s from a fancy restaurant: Crepes with sautéed cinnamon brown sugar apples, fried egg sandwiches with prosciutto and mozzarella cheese; salad with cucumbers, tomatoes and quinoa, Kale-fruit smoothies and a choice of stone-ground grits or homefries. 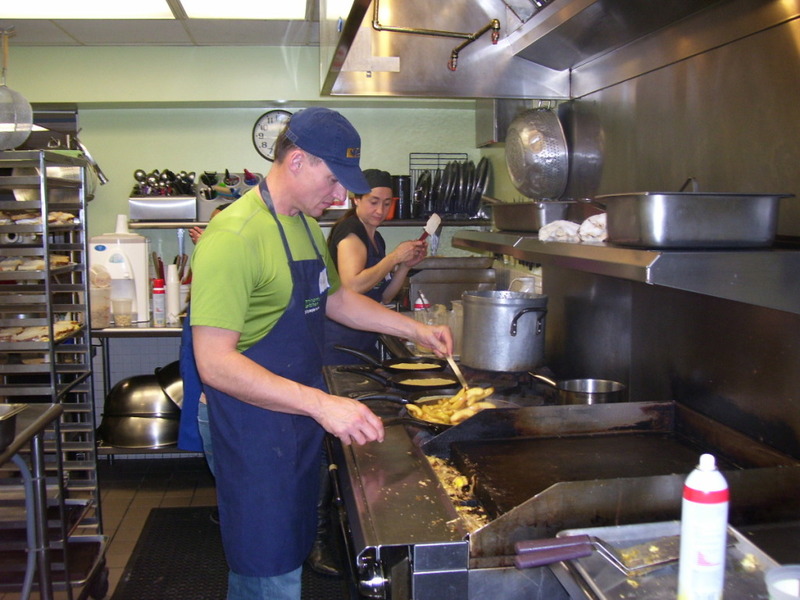 Miriam’s Kitchen chef Steve Badt says the meals cost about 60-cents per meal since the food is donated. Tom Murphy, communications director for Miriam’s, says about a dozen volunteers were the ones making Christmas breakfast happen. He says at each meal at Miriam’s they feed about 300 people. Coreme Marsham, who‘s from Lanham, Maryland is a regular volunteer at Miriam’s at least one to two times a month. 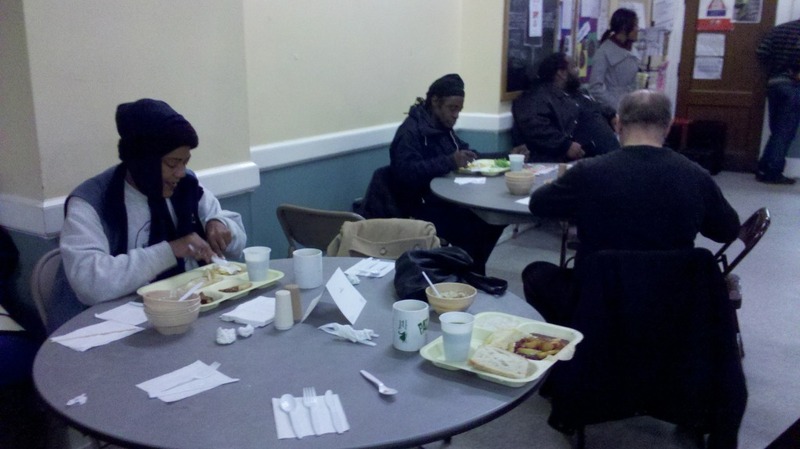 But this was her first Christmas serving breakfast — which she did with a warm and friendly smile. She says the sacrifice of getting up in the wee hours of the morning are no problem, especially after she gets to Miriam’s and see the faces of those she’s serving. She says it makes it all worthwhile especially helping on Christmas Day.